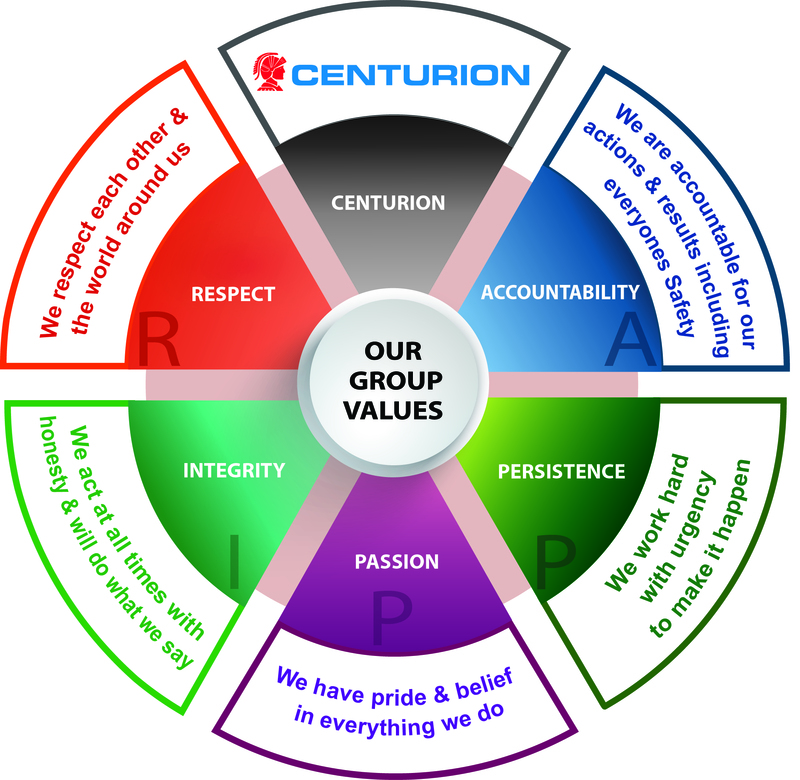 Centurion is a values driven company. That means that at work we all live and act our RIPPA values; Respect, Integrity, Persistence, Passion and Accountability. 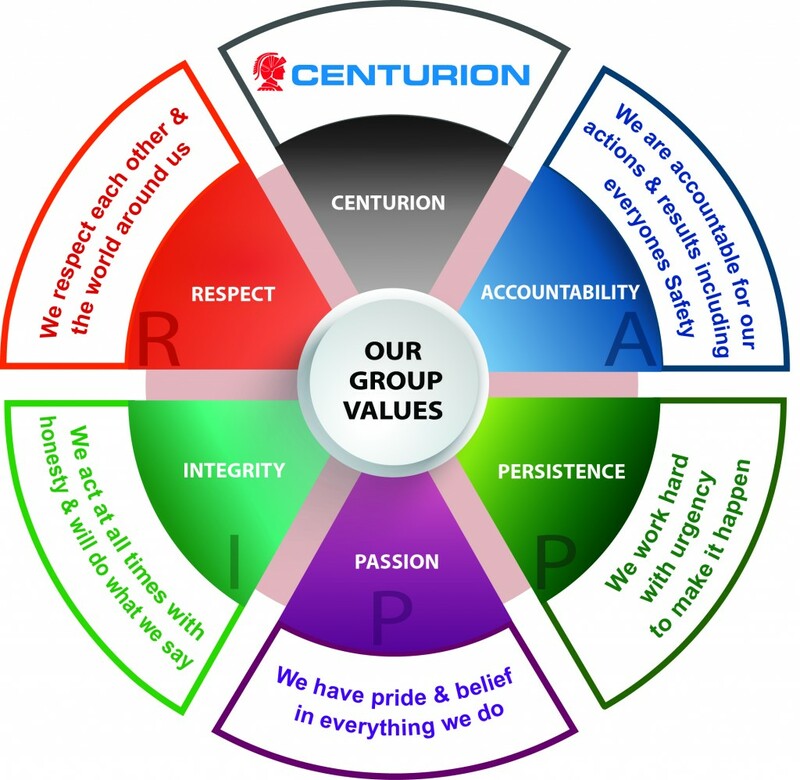 These values are the backbone of the organisation. They guide our behaviour and underpin our corporate culture. We use them throughout our recruitment process and as part of evaluating employee performance to ensure integration into our business.